The International Symposium on Circuits and Systems (ISCAS) [link: http://www.iscas2018.org] is the flagship conference of the IEEE Circuits and Systems (CAS) Society and the world’s premier networking and exchange forum for researchers in the highly active fields of theory, design and implementation of circuits and systems. 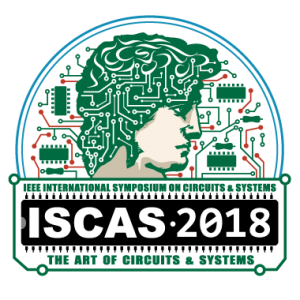 ISCAS2018 focuses on the Art of Circuits and Systems to highlight the strong foundation in methodology and the integration of multidisciplinary approaches which are the distinctive features of CAS contributions. The worldwide CAS community is exploiting such Art to change the way in which devices and circuits are understood, optimized, and leveraged in a variety of systems and applications.